Hands up! Do you look for the best boot colourway to match your shirt? FOOTY.COM has went a step further and designed custom shirts to go with your boots! Here at FOOTY.COM we like to mix it up a little, in this blog we went down a different path with the concepts. 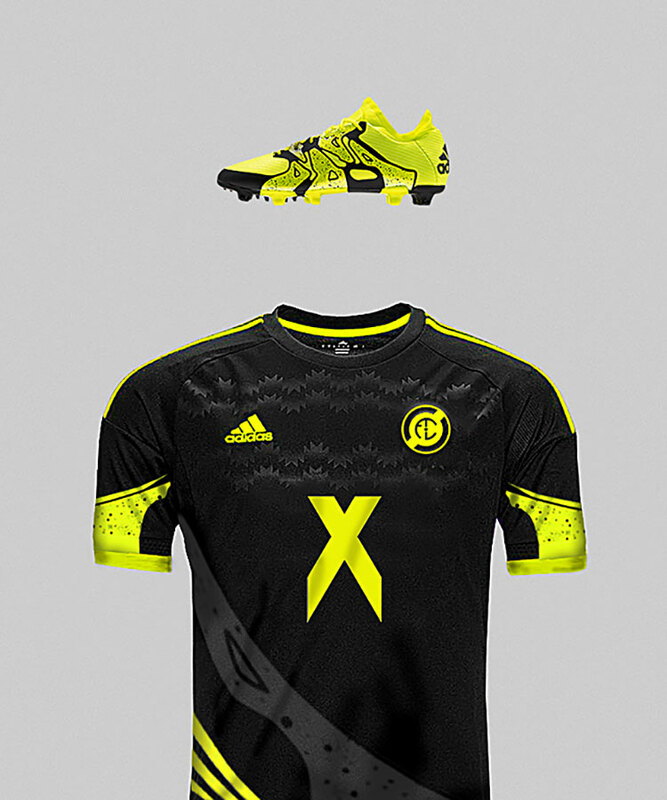 What if adidas, Nike, New Balance and Puma designed their shirts to go with the boots? Well let us take a look at some of the designs! Adidas really pushed the boundaries of design with the X, the classic three stripes are gone and replaced with the cage. We thought we'd take inspiration from it and went with a perhaps more subtle but just as stunning design, with hints of the Manchester United third (which we are big fans of), this shirt really does push the boundaries of what Adidas designs have been like. New Balance have shaken up the footballing world being the new kids on the block, the Visaro and Furon are both highly rated boots for performance and looks. 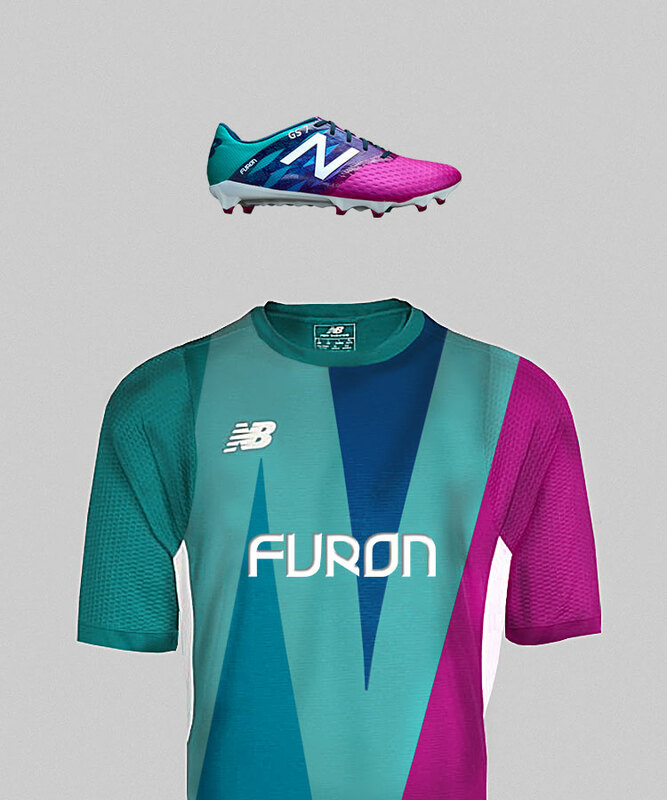 We decided the Furon was the way to go simply because of it's unique look and design. The shirt is designed in order to show off the split in styling on the boot, with the New Balance logo featuring prominently to break up the design. Even New Balance liked it! The evoSPEED SL tricks are probably the most talked about boot for a long time for a few reasons. The fact the boots come in different colours is always going to be a talking point, a distinctive orange and blue combination makes sure you stand out on the pitch. Choosing this boot to inspire the shirt was an obvious choice, we have gone for the split just as Puma did and if you're reading Puma, please make this! If you've been around the block long enough, you will know the Mania is the boss of the boot world. If you had a pair you will surely stare into the distance reminiscing about times gone by. 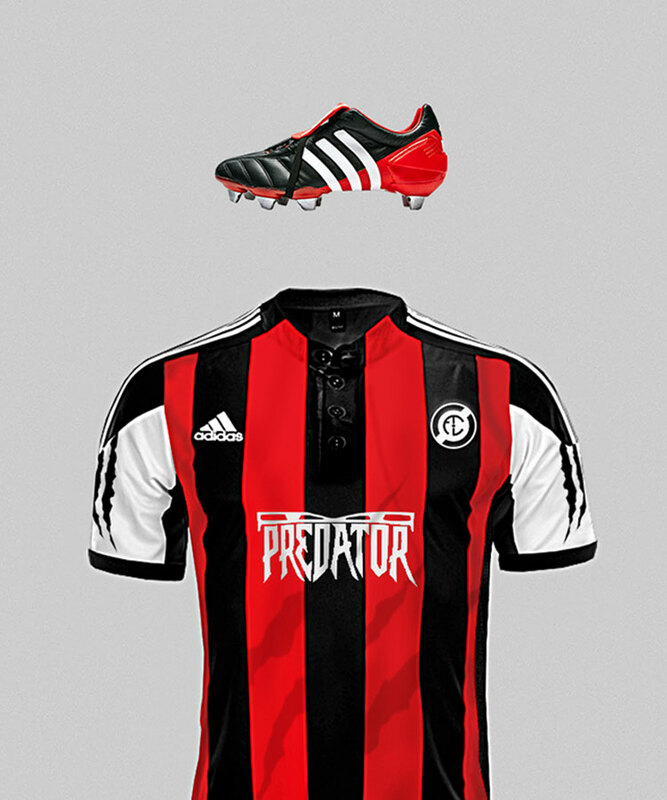 We have decided to take an almost AC Milan feel to the shirt, a team that featured many Mania wearers and a classic of the Adidas range, the buttoned neck gives it a retro look to match some of the Adidas shirts of the early 2000's. If you're reading Adidas, please make some Mania's. Please. Nike's Hypervenom is definetly a boot that stirs debate, some call it beautiful, others call it ugly. 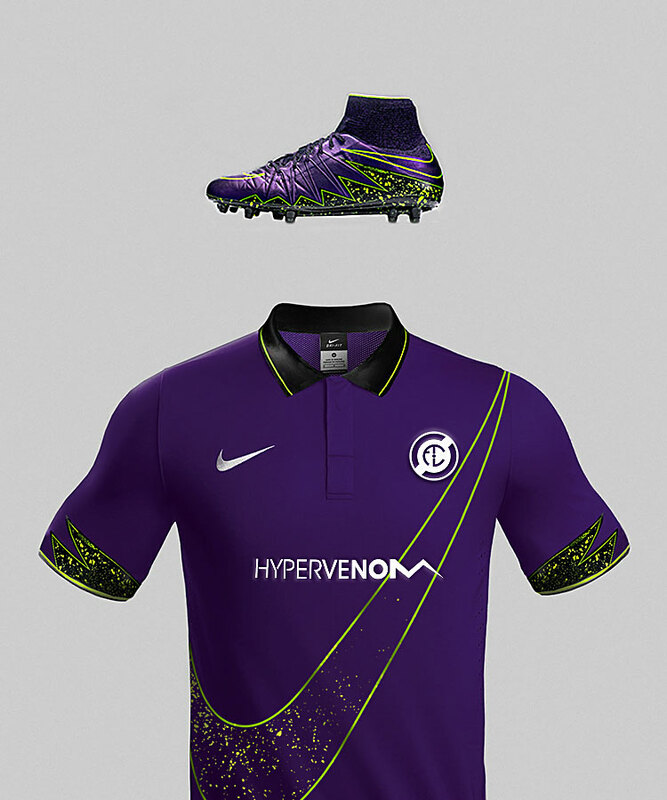 It is all a matter of opinion and we thought that it would be perfect for a kit design.The speckled paint design gave us such inspiration and we decided to add some for the graphics to the sleeves in order to truly make this a Hypervenom shirt. 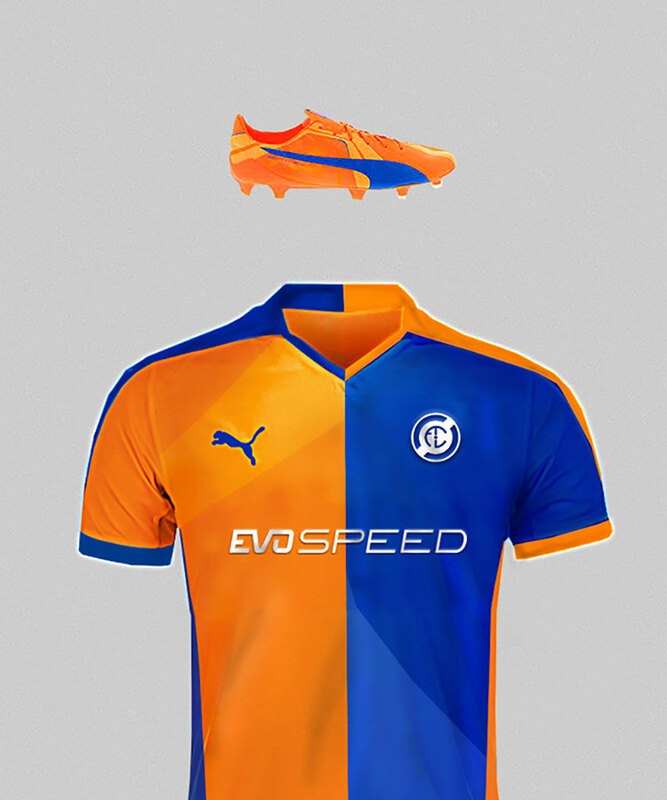 With this concept article we have tried to put as much thought and design into the shirts as the boots have, after all, you will get noticed on the pitch whatever you wear.